Siberian irises are lovely in the garden and in floral bouquets. I painted this flower from the live plant. 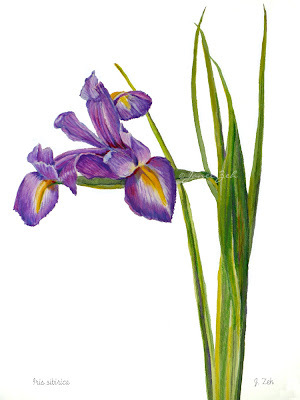 Siberian Iris Botanical print is available in multiple sizes and may be ordered framed, unframed or on canvas. Click the Order Print button below for sizes, options and prices. This is also available as an original painting in watercolor size 15x11 inches - $295.